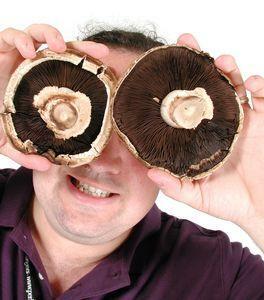 I changed my profile picture here on Blogger, so no more mushrooms over the eyes. I figure since Google went to the trouble to have my mug photographed, I should use the picture. Julian Cash, a very creative photographer, took the mushroom picture. You can see it in all its glory on his site. Same here... I always thought they were donuts too. I like the new mug shot. Professional and casual at the same time. How did you DO that? Change your profile picture, I mean. I spent the better part of the afternoon reading help entries trying to figure it out. Could you -- please?-- send me an e-mail, step by step, as to how it is done? Nope, but I'll post it. Go here then change the url. My new background, courtesy of Henry P. Babbage. IGN's Top 100 Games - Where is Starflight?